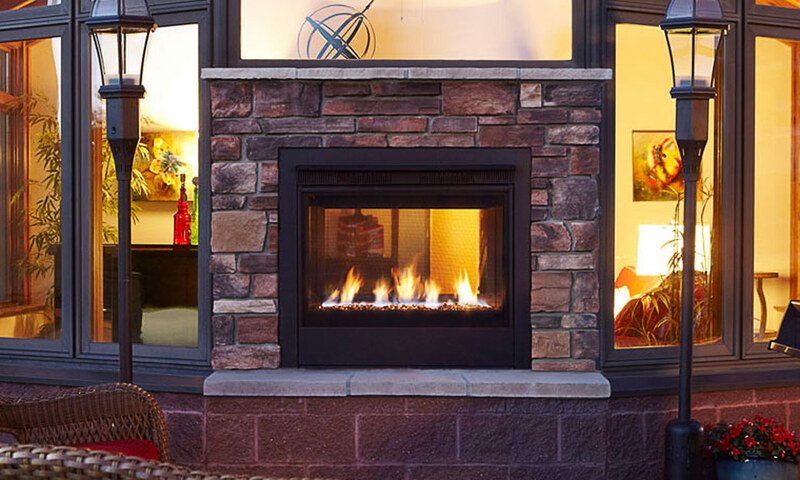 Our Widescreen WS54 See-Thru Indoor-Outdoor gas fireplace makes a striking architectural statement and takes outdoor living to a luxurious new level. This design extends your living space and provides a connection between interior and exterior areas allowing for all-season enjoyment. 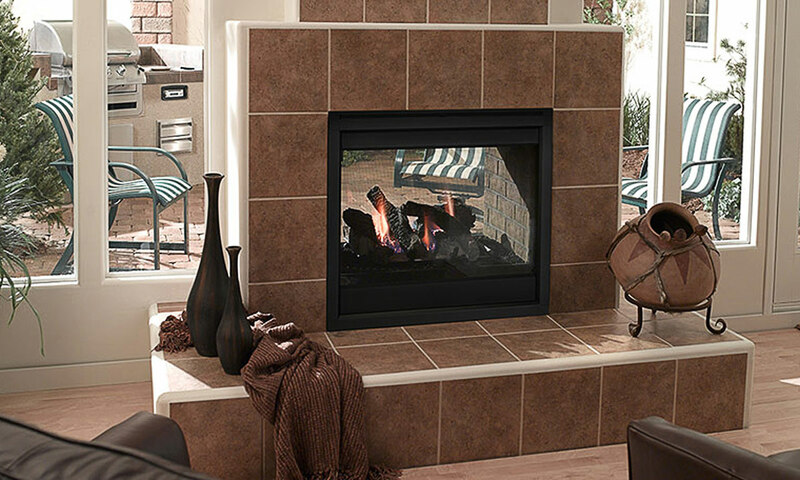 The full flame profile is protectedby disappearing ceramic glass and remains unaffected by the elements. Enjoy the view from inside and outside your home with this unique fireplace. 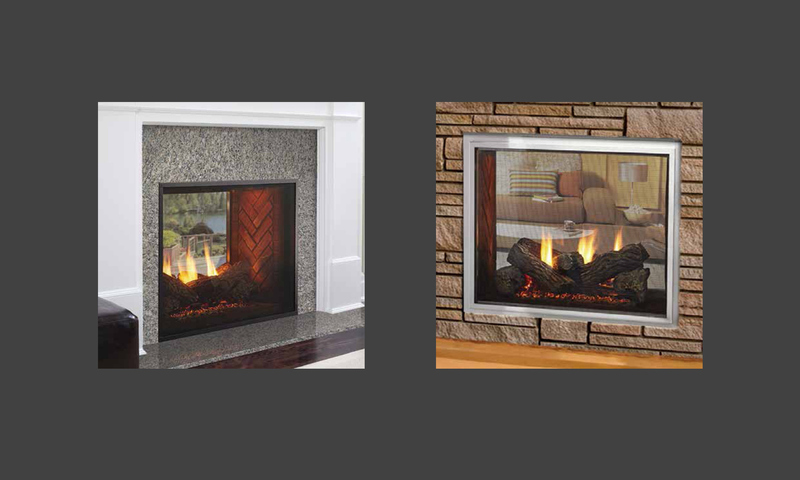 The Mezzanine gas fireplace boasts beautiful linear style and accent lights that shine through the crushed glass firebed. Customize the look with options like black glass interior, stones and trim finishing options making the Mezzanine linear fireplace the ultimate in luxury design.